Psoriasis is an auto-immune disease which affects around 2% of the Caucasian population. The disease occurs due to skin cells growing too quickly because of faulty signals from the body’s immune system. The excess skin accumulates as red patches, sometimes accompanied with silvery scales. Over 50% of people suffering from Psoriasis have it on the scalp; there is currently no known cure, although treatments to reduce symptoms are available. Triggers for Psoriasis are thought to be genetic predisposition, bacterial infections and other illnesses, stress and damage caused to the skin. People with Psoriasis can exacerbate the condition due to diet and other poor lifestyle decisions. For sufferers of Scalp Psoriasis expert consultation is advisable. A GP can prescribe medication and give advice but will lack the specialist knowledge required. Consulting with a Trichologist consultation is highly advisable. Visiting a Trichologist at a Clinic such as Wimpole will help to ensure Scalp Psoriasis is under firm management and control. A Trichologist will understand the “stress” the condition brings and will be a friend in the corner able to offer practical helpful advice. Typical treatments a Trichologist could offer would be a range of ointments to treat damaged skin areas and also the use of UV light which is known to markedly improve the condition. Treatments could be provided on a regular basis with booster sessions when/if flare-ups of the conditions occur. As with many health conditions pre-emptive care is better than fixing the issue after the event. 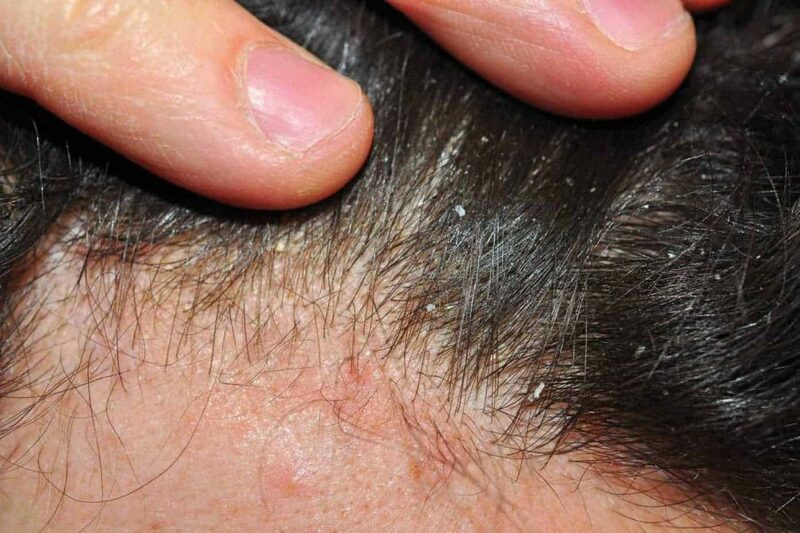 If you are suffering from Scalp Psoriasis the Wimpole Clinic can help. Call us on 020 7935 1861 to speak to an expert and book a Trichologist Consultation. Our experts will be able to full diagnose the condition and discuss a plan to manage the condition.